Dambulla is sacred pilgrimage site for 22 centuries. 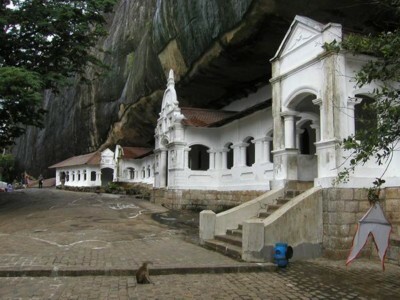 This cave monastery, with its five sanctuaries, is the largest, best-preserved cave-temple complex in Sri Lanka. The Buddhist mural paintings (covering an area of 2,100 sq. m) are of particular importance, as are the 157 statues.